Sleep sound knowing your mattress is clean. You may have been told that you cannot clean your mattress, which can bring frustration and anxiety just thinking about how many years you’ve been sleeping on the same one. While you can use mattress covers and sprays to eliminate some of the dirt, there is nothing like a truly deep clean. This desire for a truly clean mattress is what brings countless clients to us for assistance with steam cleaning for mattresses. Think about how much your mattress is used every single night. You may not intentionally get it dirty, but the fact that it is used daily implies that it is anything but clean. Unlike carpet, you cannot just run a vacuum over your mattress to make it cleaner. That is where we come into play. We are San Antonio’s mattress cleaners with a trustworthy reputation and skilled steam cleaning methods. Just because cleaning your mattress is tricky, that does not mean you should ignore the its cleanliness. Not to mention, if there is an actual stain, the longer you postpone treating it, the harder it is going to be to completely remove it. With our industry-leading technology and cleaning products, you never have to worry about what you are sleeping on again. 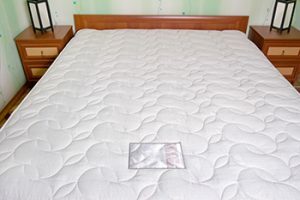 Because we use high-level cleaning techniques, we are able to penetrate beneath your mattress’ surface and get rid of what store-bought products simply mask. Cleaning your mattress has never been easier than with Steam Master Cleaning and Restoration. Our mattress cleaners will get to work removing your mattress’ stains, and odors. You will wonder why you haven’t used our furniture steam cleaning services before. Our goal at Steam Master Cleaning and Restoration is to provide you with the cleaning services you need. Contact us today to schedule your mattress cleaning appointment. When a clean mattress is what you seek, turn to the San Antonio mattress cleaners you can trust.